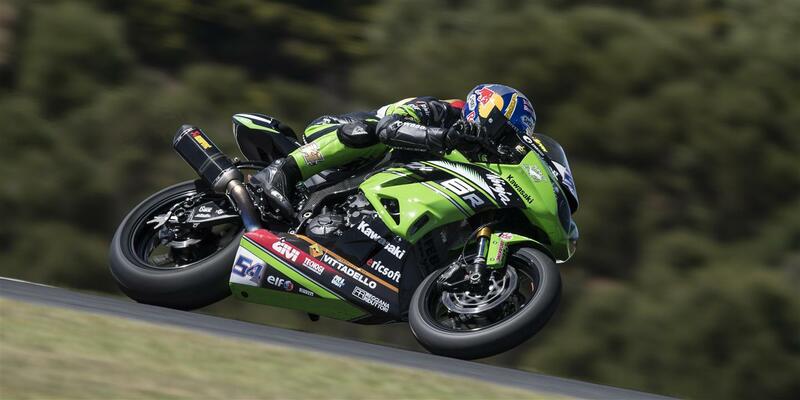 A veteran to the WorldSSP grid, Kenan Sofuoglu heads into his 11th full series, continuing his strong relationship with Kawasaki Puccetti Racing. Storming to the world title in only his second season in the class, the Turkish rider moved up into WorldSBK for one season but struggled with the step. Since returning to WorldSSP in 2009 he has taken four title victories, and after making a strong return from some difficult injuries he has shown his steely grit and determination which he will no doubt bring in 2018. Kenan’s unique approach of not worrying about anything but race set-up in practice as long as he qualifies on the front row has netted him 94 front row starts in 116 career WorldSSP races. He has a record haul of 78 podiums. The best rider ever to have come from Turkey, where he began racing on a 600cc machine, he subsequently won his national championship in 2002. With friends already in Germany and with support from his family he took part in the IDM German Superbike scene and was an instant star. He was victorious in a one-make championship before being picked to spearhead Yamaha’s Superstock 1000 series efforts in 2004 and 2005. He came so close to winning that championship title in 2005, only to lose it on the final lap, that it redoubled his determination to succeed when he moved into WorldSSP racing in 2006. He has raced in other categories but his true abilities have shone brightest in WorldSSP, where his aggression, pace and eventual recovery from a mid-season dip in form put him third in his rookie year. The year after, as lead rider in his team, he cleaned up and won the title, but a move to full Superbike status the following year was less successful and he swapped back to a WorldSSP bike for the final round in Portugal. He won the race, took pole and the fastest lap. He went third in 2009 as new talents Cal Crutchlow and Eugene Laverty arrived on a wave of youth and confidence. All the same, Kenan won the title again in 2010, after a great tussle with Laverty and Kawasaki’s Joan Lascorz. He even rode in two Moto2 races in 2010, and was a full-time signing in that class in 2011. He fought to a podium on one occasion but he never settled in his new team and when the chance came to compete in the official Kawasaki Lorenzini team in 2012 he knew he could return to WorldSSP with a strong package. The rest is very impressive history as he scored four wins on his way to title number three, securing the first Supersport Championship for a Kawasaki rider since 2001. Riding for Kawasaki again in 2013 and 2014 he battled hard and won more races but it took his adoption into the Kawasaki Puccetti Racing team in 2015 to land him his peerless fourth world title, despite some incredibly tough challenges in his personal life. Repeating a title win with Puccetti again in 2016 he is the undisputed five star rider in this class.